My PC 800 had electric problems and I got to borrow my brothers bike. I had to mount the trailer hitch,Corbin saddle, Clearview screen, GPS to get it as I wanted and is used too. 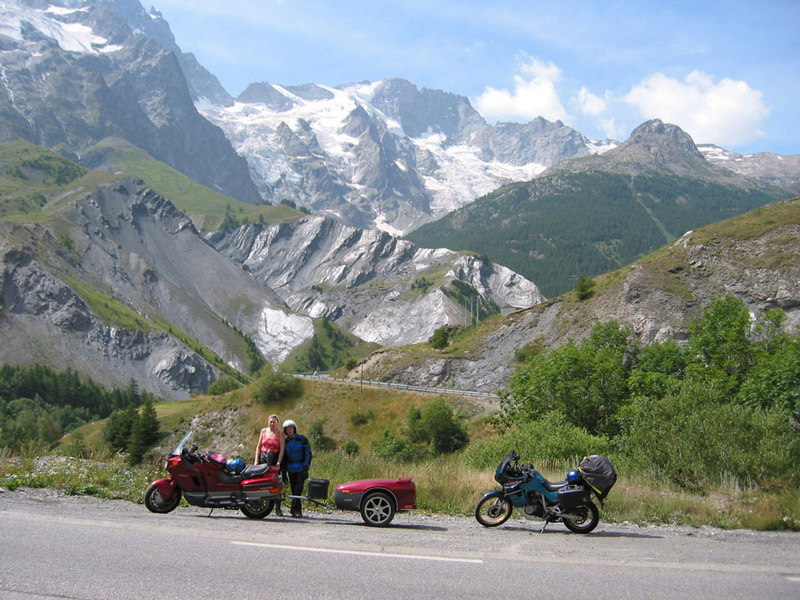 Torill rode her Transalp and for the first time abroad. Torill and Vidar with the beautiful French Alps in the background. The tour went through Denmark, Germany to Cap d'Antibes in France where we had rented an apartment for a week. Then home via Italy, Switzerland, Austria, Liechtenstein,Germany and Denmark. A total of 4984 kilomter.